Ride-sharing companies like Uber and Lyft have grown tremendously in a short span if time. Ride-sharing has become an extremely popular concept. When it comes to local commuting, the convenience, ease and cost and energy effectiveness makes it a great option. Ride-sharing companies like Uber and Lyft have grown tremendously in a short span if time. Their customer base is growing leaps and bounds. Therefore, it is obvious that hiring drivers to shuttle passengers can become a burden on these companies. The question that all ride-sharing users should ask is – Is the driver responsible enough to drive you home safely? Automobile accidents are increasing everywhere. Car insurance generally protects car owners and other motorists. However, what happens if a ride-sharing vehicle is involved in an accident? Who is liable, and how much cover do the injured passengers get? Both ride-sharing companies, Uber and Lyft, advertise that their passengers are protected by high-limit insurance policies. They generally secure $1 million in liability and uninsured motorist coverage per accident (as per their advertisements). When a ride-sharing vehicle is involved in an accident with another driver at fault; injured parties are typically covered for $1 million combined. $1 million dollars seems like a big amount, but is not that a significant amount when one considers a larger number of injured passengers, whose combined claims exceed the $1 million amount. 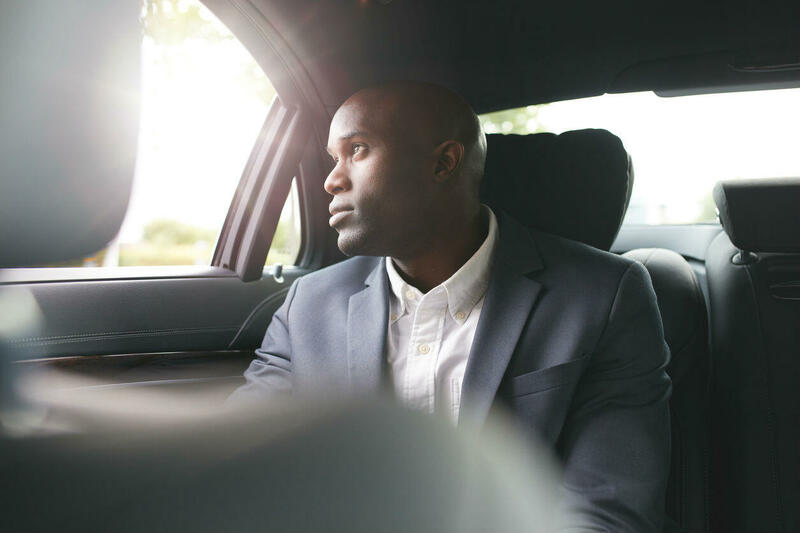 Moreover, in cases where the negligent ride-sharing driver causes an accident that severely injures or kills a person, whether it is a co-passenger, or occupants of the other car, the $1 million may not seem like enough. Uber and Lyft, could contest saying that the negligent driver is not an employee but an independent contractor. Therefore under the agency law, they cannot be held responsible for the damages. In such a scenario, an experienced St. Louis car wreck lawyer may be able to help. Your attorney may argue that there are a number of theories that can prove that the company is legally responsible for the negligence of the ride-sharing driver. These are tricky situations and require the experience of a trained and qualified lawyer, to ensure that victims receive adequate compensation. All accidents are unique and should be discussed with an experienced attorney. If you have been involved in a St. Louis ride-sharing accident, get in touch with The Hoffmann Law Firm, L.L.C. at (314) 361-4242. We can evaluate your claim for free and help you determine what compensation you are legally entitled to.